This post is sponsored by OLLY, but the content & opinions expressed here are my own. I'd heard of probiotics for a long time but never put too much thought into it. I knew it had its benefits but was never motivated enough to try it. A few months ago I signed up for a couple free probiotic samples & waited for them in the mail. I got them & tried one the next morning. The packaging was bulky & hard to open. The tablets tasted horrible. It was a chore to get one down. My boyfriend, Fred, & I tried the probiotics for two days before we gave up. Then OLLY came along like a little probiotic angel. I was first drawn to the exciting & vibrant packaging, giving off a sense of happiness & whimsy. 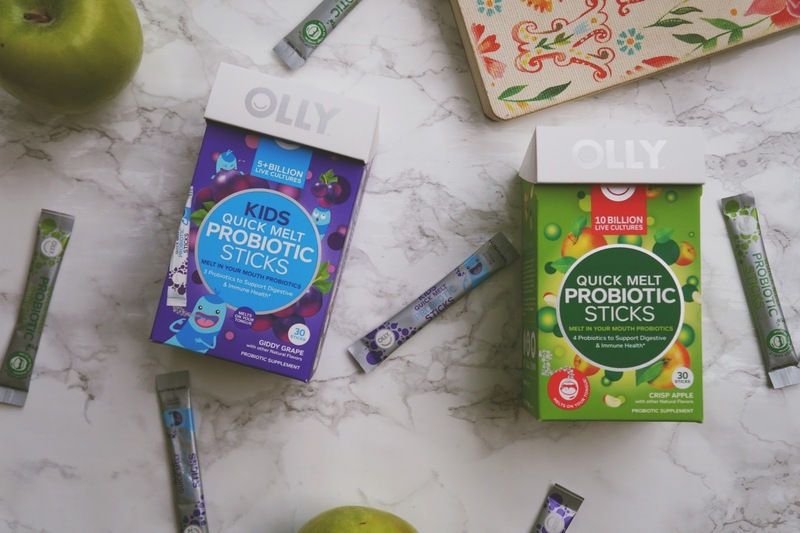 The OLLY Quick Melt Probiotic Sticks come in three flavors: Juicy Blueberry, Crispy Apple, & Giddy Grape. I tried both Giddy Grape & Crispy Apple, & oh my heavens. They're both insanely tasty. All you have to do is open the stick & pour it into your mouth. Yep, that's it. You could also mix it in water. Both flavors ring true to their name, one tastes grapey & the other like a tart green apple. I actually have to stop myself from having seconds. True story. 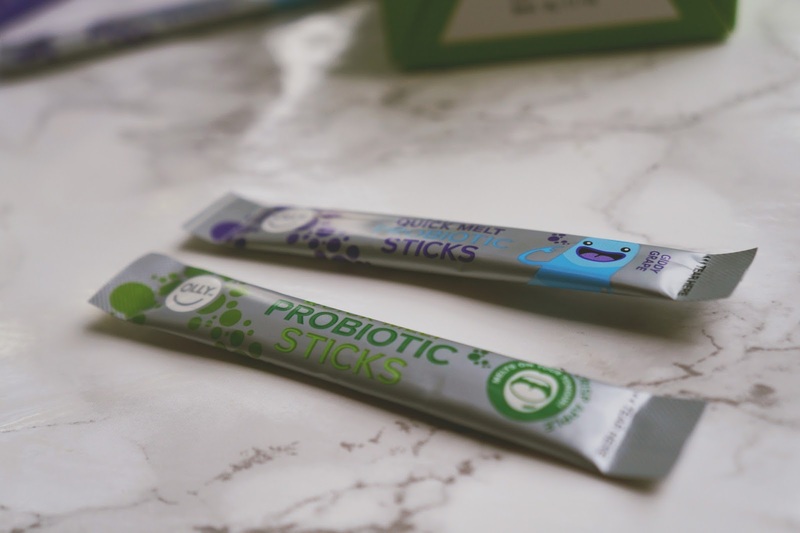 The bonus is that the OLLY Quick Melt Probiotic Sticks work to support immune & digestive health as well as overall health & wellness. My afternoon pick-me-up usually includes a cup of caffeine-free tea, an afternoon snack, one OLLY Quick Melt Probiotic Stick, & updating my daily planner. It keeps me organized & on track consistently. 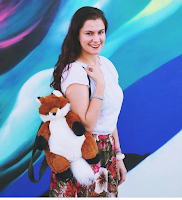 It's important to carve out time for self-care, those little moments where you can relax or decompress. 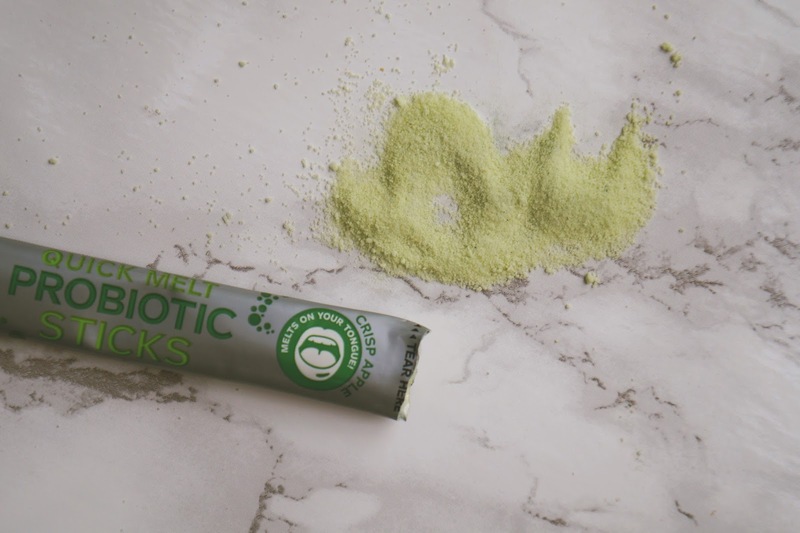 I've been taking my OLLY Quick Melt Probiotic Stick for about two weeks now & I feel like they definitely help keep me regular. I'm excited to keep using them to see how I feel in another two weeks time. Oooo this sounds great! I really need to kickstart my healthy eating so this sounds damn good. These sound great! Do you mix it in something or just have it as is? I take a probiotic every morning and I love the effects that it has on my gut health! It's so important to take care of our bodies!! This sounds really interesting! I remember having to take probiotics and acidophilus after taking some antibiotics after a surgery to avoid a yeast infection or UTI. Those pills didn't taste nearly as good as these sound! ive never taken them but there are so many benefits! I never tried these but sound interesting. I love this- and dig that they're tasty so it's more a treat than a chore to work into your routine! I am so loving the packaging! 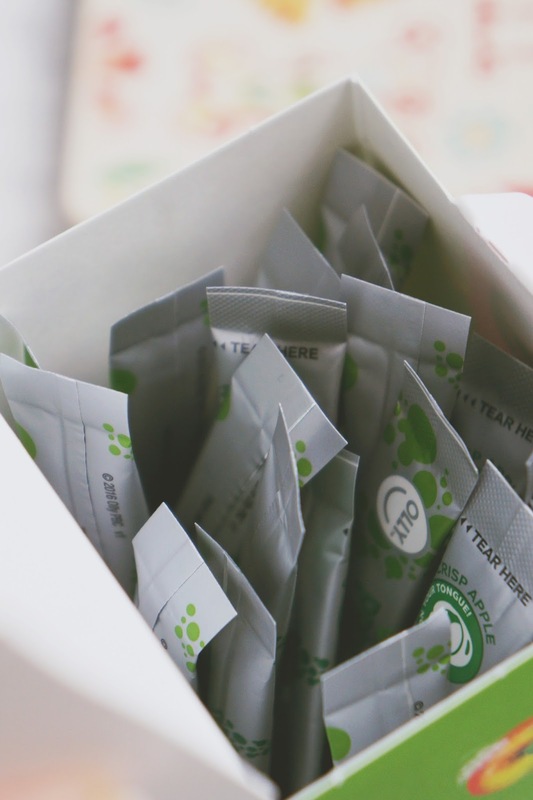 I have not heard much about probiotics, but you for sure intrigued me to find out more! I have been looking for probiotics that is easy to swallow for kids. I am gonna look for this one. Thank you. I'll have to try Olly!! I am huge on adding probiotics in my life! It really does help my body run better! I've been thinking about adding probiotics to my diet lately, but I wasn't sure the best way to do it. I'm definitely going to try these out since they sound easy and yummy!